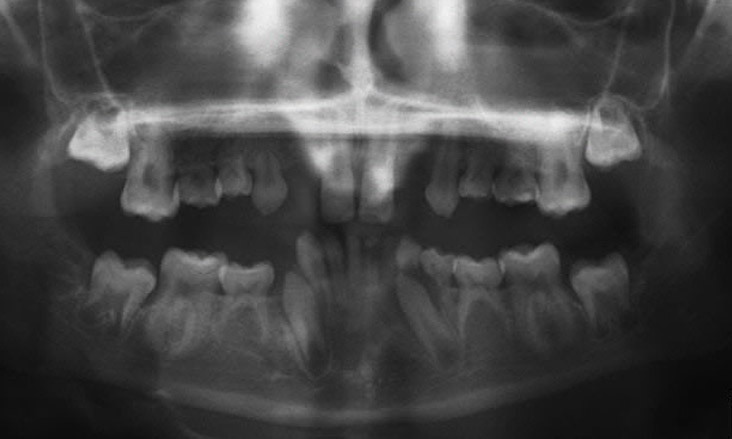 Many of this patient’s adult teeth did not form. 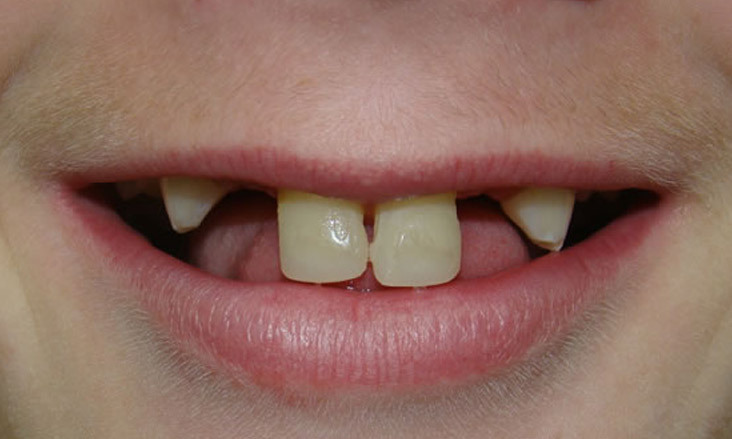 Where the adult teeth did not form the baby teeth are remaining. 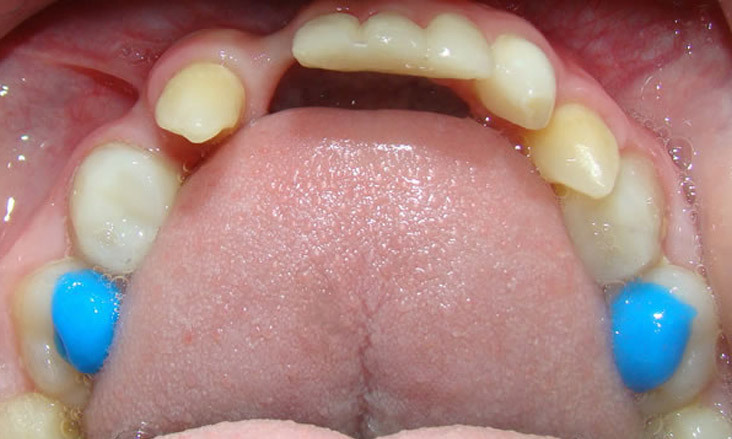 The upper front teeth are overerupted and unsightly. 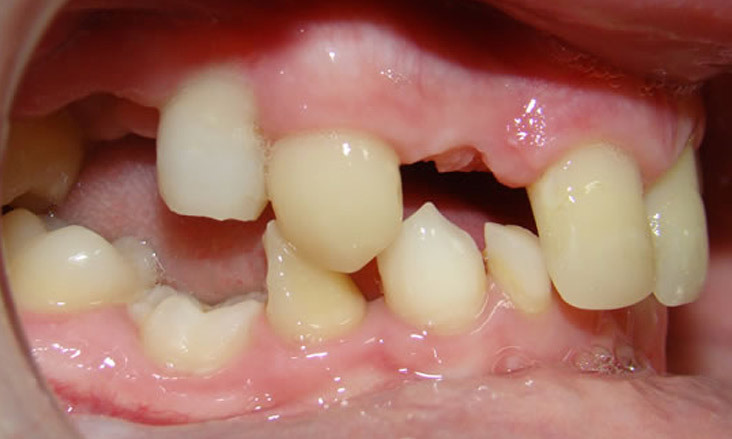 The aims of treatment were to improve the appearance of the teeth; close spaces where possible; and reposition the teeth such that, when the baby teeth fail, they are in a reasonable position to be replaced with prosthetic (false) teeth. 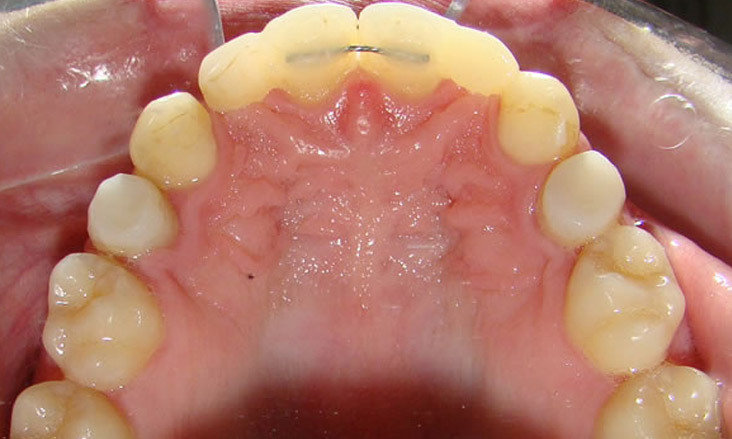 When the teeth need to be replaced there are a number of options from removable dentures to dental implants. 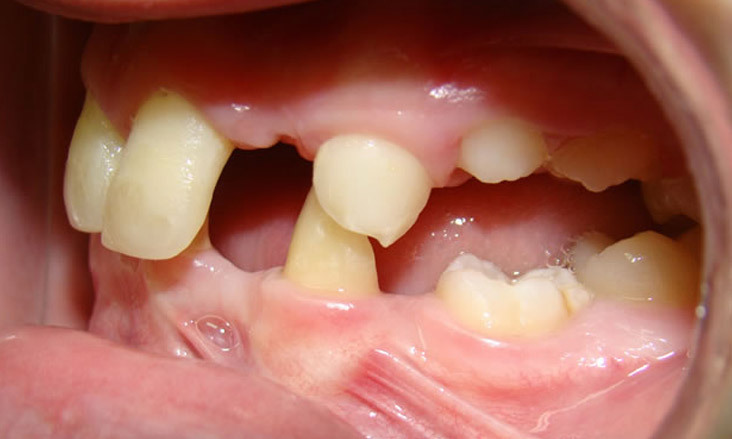 The upper baby second molar teeth have been removed and the resultant space will be closed by moving the posterior teeth forwards. 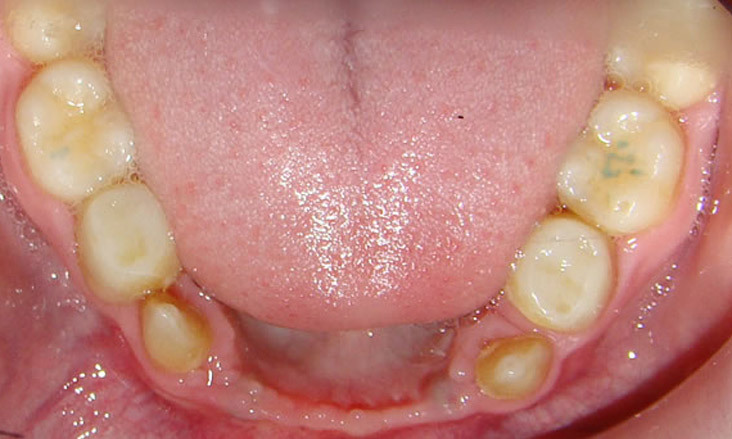 The upper baby first molar teeth have had tooth coloured filling material added to improve their shape and size. 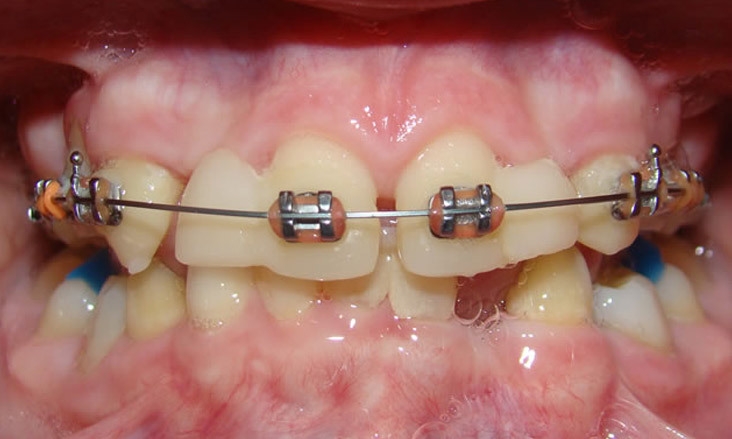 Braces have been on the upper teeth for some time. 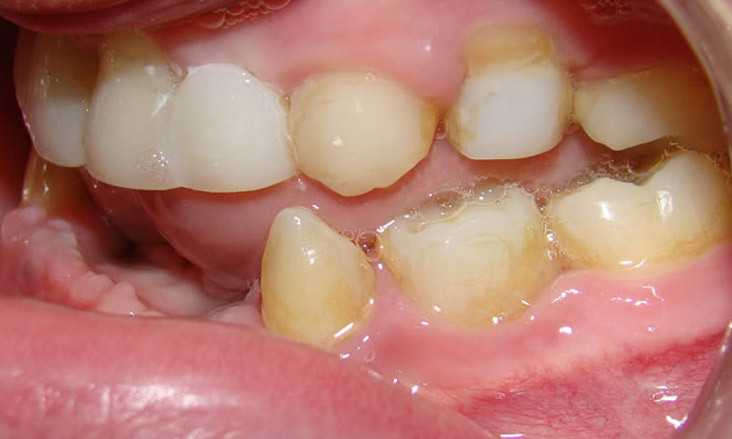 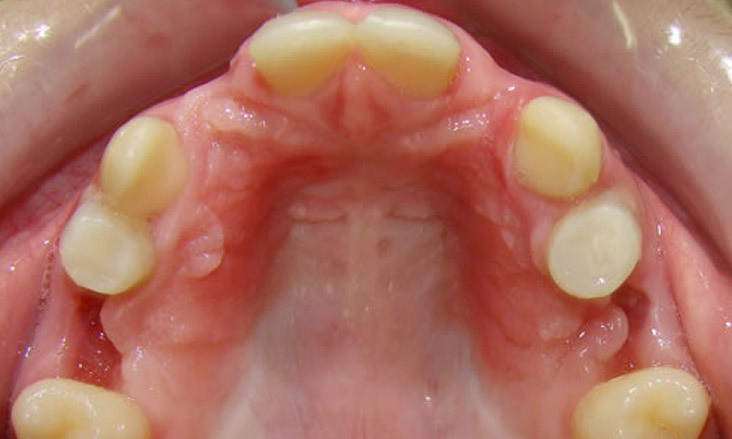 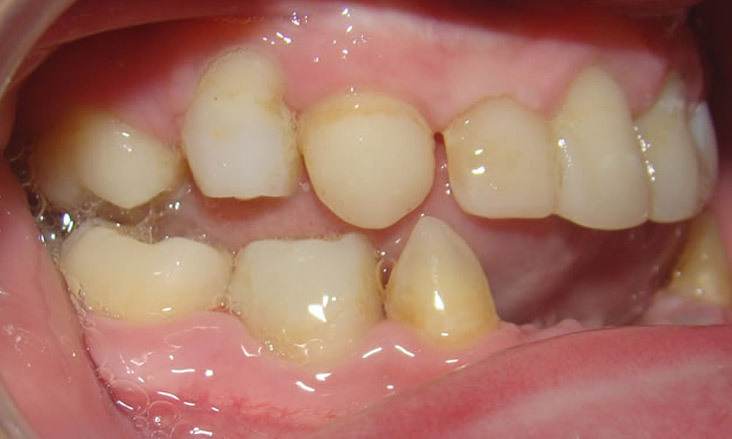 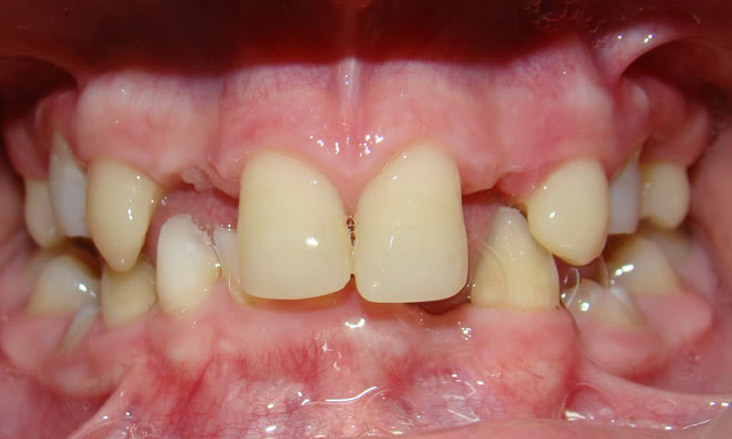 To improve the appearance during treatment tooth coloured resin filling material has been placed to the sides of the upper central incisor teeth (pontics) to mask the gap caused by missing teeth. 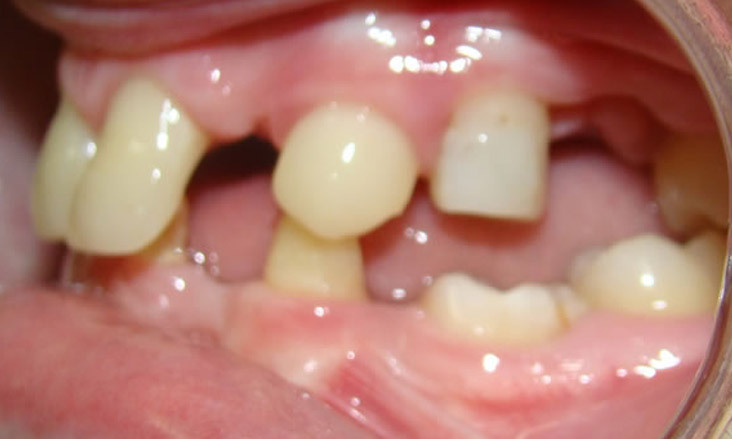 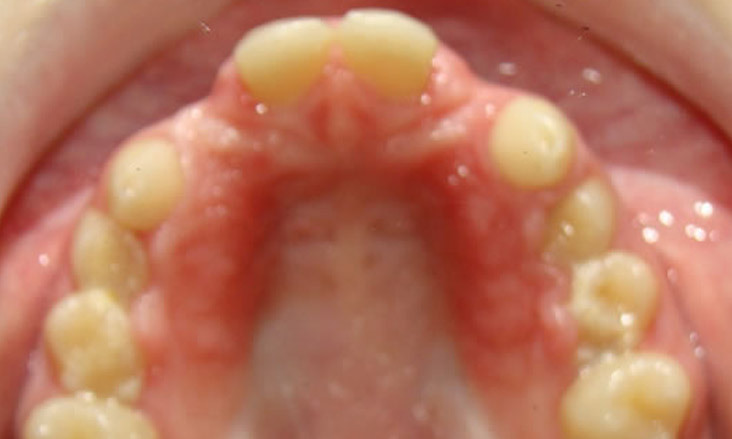 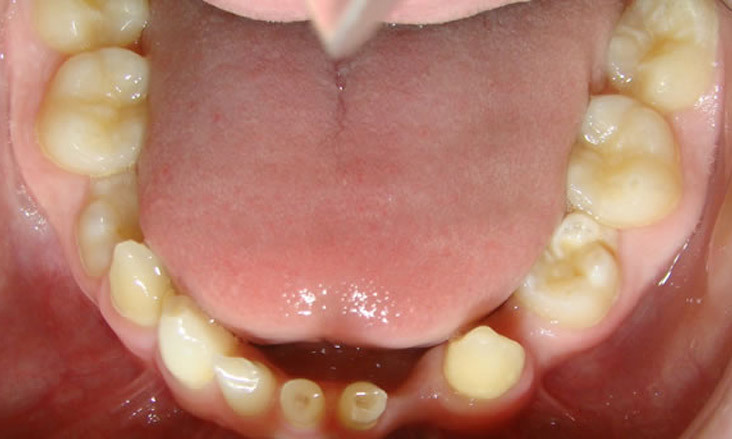 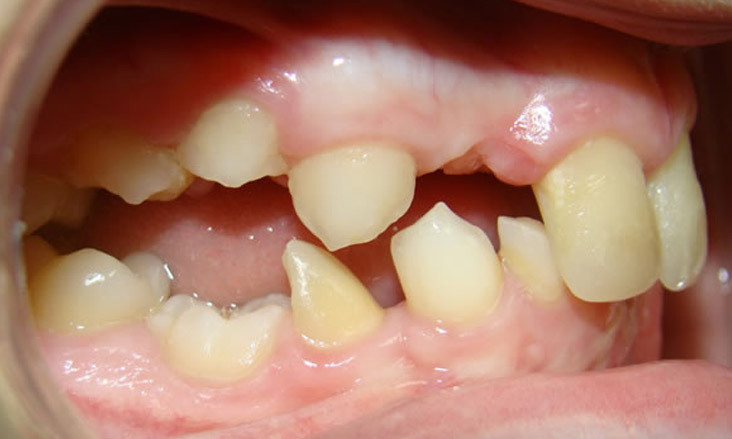 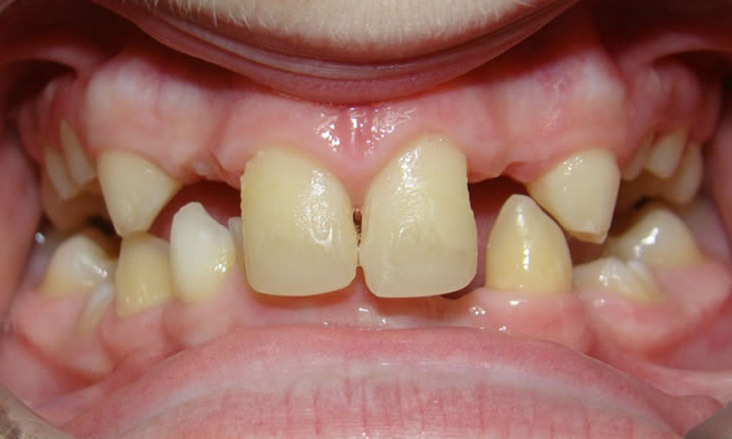 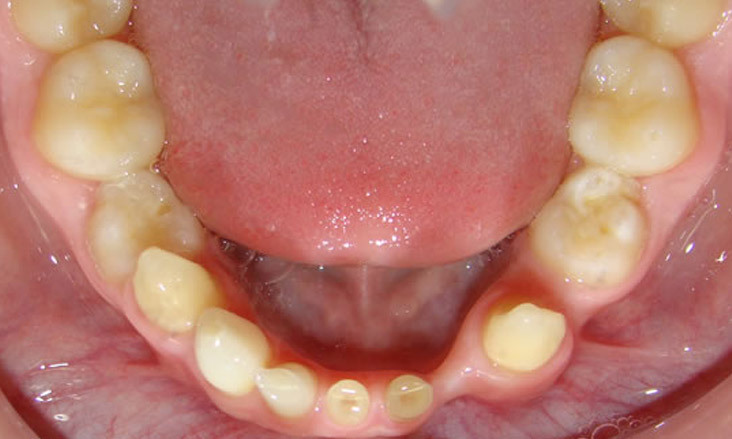 The lower baby teeth have been increased in shape and size with the same filling material. 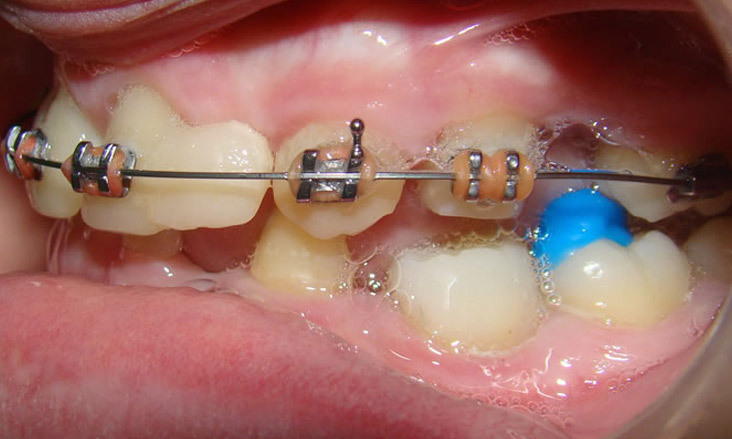 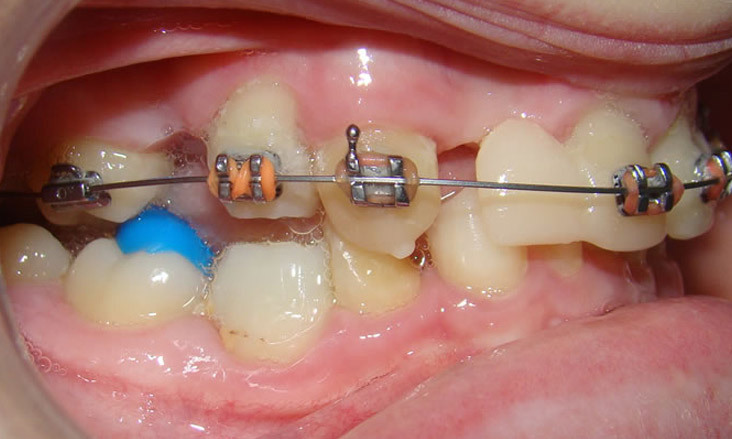 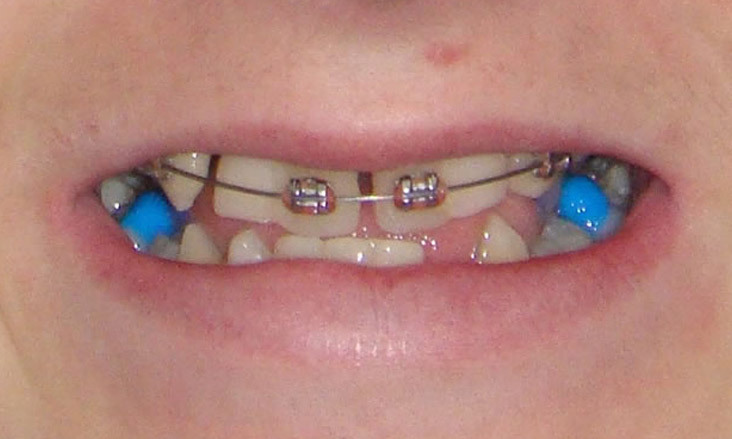 This is to improve the appearance of the teeth and facilitate the orthodontic treatment. 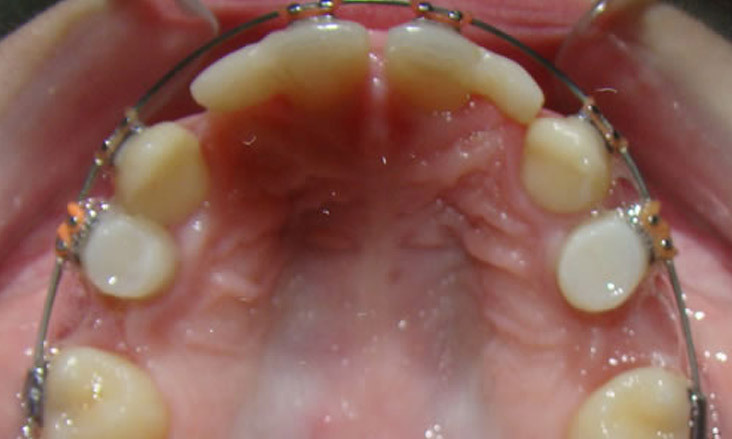 Braces will be placed to the lower teeth the same day this filling material is placed. 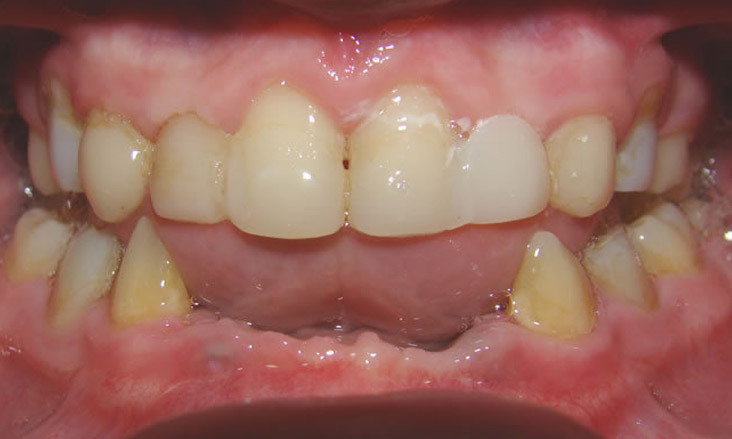 Braces have been removed and retainers are being worn. 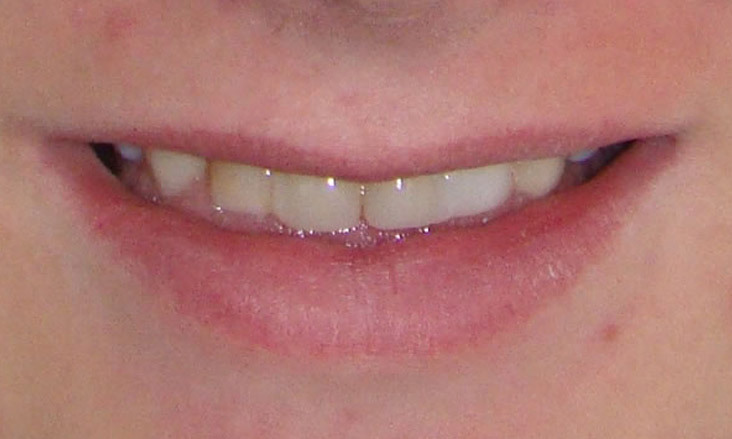 Notice the improved appearance and arrangement of the teeth.